Harry Potter is one of those magical things in our house that we never tire of. We've already been to the Warner Bros Studio Tour but when we were invited to experience their new Finding The Philosopher's Stone event we grabbed our Floo Powder and headed there as soon as possible. 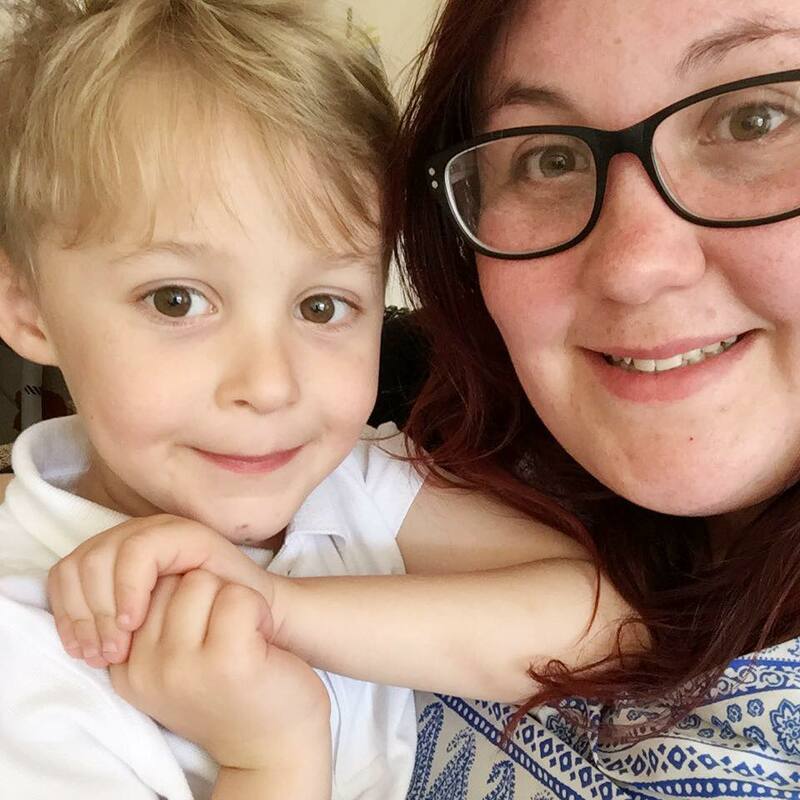 This time however, we took Max's best friend Rubi and her family as they are just as mad about the boy who lived as we are! We hopped in our flying Ford Anglia and were there in a flash. The Warner Bros Studio Tour: Making of Harry Potter is set just outside of London in Watford on the two sound stages that were used during filming of the Harry Potter films. Inside the tour you get to experience everything from props to sets and stages from all of the films. There is definitely something to please everyone. Whilst us adults loved walking around looking at all the props, the kids loved to get hands on with all the interactive aspects. They were in awe of the wand mirrors where they learnt how to cast spells and defend themselves against villains. Each sound stage is set up with different things in it and created in a way that you can walk around and not miss a thing. Once you enter you don't feel rushed and can go at your own pace. Which is perfect when you have two little Hogwarts students that don't want to miss a thing! Last time I went, I got there for one of the last time slots so felt like I missed lots of different things as I went around. Knowing what I had missed I went out of my way to hunt them out! These were mostly odd props that I've always loved. Of course one of the best things about the studio tour is the photo opportunities. There's some official points for photos such as the green screen broomsticks and train, but also plenty of chances for you to take your own snaps, such as the Platform 9 3/4 train dash and Diagon Alley. The kids absolutely loved all these chances to pretend to be their favourite characters and us adults did too! I mean who wouldn't want to run at the wall with a trolley of supplies for Hogwarts! Once you have been through the first sound stage, you enter the backlot. This is where some of the bigger things such as vehicles and buildings are. There is also the opportunity to try the world famous Butterbeer. We had already tried the drink itself last time and I personally wasn't that fond of it, so this time we opted for the Butterbeer ice cream. Let's just say we all loved it! One bowl definitely wasn't enough for all of us but it was the perfect pick me up before exploring the rest of the tour. As I mentioned, outside is home to all the vehicles and external sets. This includes everything from the Knight Bus to Privet Drive. At the moment you can pop into Privet Drive and see the gorgeous fireplace full of letters. It's one of those gasp breathtaking moments on the tour that will leave you wishing that you could get a prized letter. The kids loved the fact that they could climb on everything and discover all their favourite props. It's also perfect for a photo opportunity of them on the Hogwarts bridge. 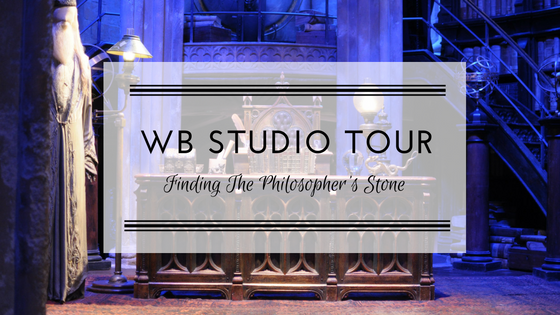 This summer, the studio tour are hosting a Finding The Philosopher's Stone event. This means that there are tonnes of fantastic interactive exhibits all based on the first film. I was shocked to find that it's been 15 years since the first film, which makes me feel so old at 26 as I've literally grown up with the books. One of the features was being able to see the magic of wizard's chess. In the film, Ron completes a game of wizard's chess in an attempt to save him, Harry and Hermione. The pieces were so much bigger than I imagined and it was amazing to watch them move on their own and almost come to life and challenge Max and Rubi. The second half of the tour is much shorter than the first but definitely packs a punch. Not only do you get to see the fab prosthetics and model making that goes into the films, you also get to experience the magic of Diagon Alley. This was one of the moments that I couldn't wait for the kids to see. It definitely takes your breath away and sends you straight into the magic. We all had our favourite shops, but the kids spent ages pondering which pet to buy in the Magical Menagerie. As you head towards the end of the tour, you start to see how they managed to put the fabulous book descriptions to life through pencil drawings and paper models. There was a fantastic display of some Quidditch props and the expert went through how they created different models for each thing. We learnt that the bats for the game weren't actually made out of wood unless it was for a close up, the ones used for the majority of filming were actually soft foam ones! I did wonder how no-one hurt themselves on set. We even got to see a pair of Daniel Radcliffes Quidditch boots which was just incredible. The final part of the tour is the breathtaking castle. It's hard to describe how beautiful it actually is, but I can honestly say you will be lost for words! There were so many highlights on this studio tour trip. I think my personal one was seeing how they made the wands for each character. It's part of the Finding The Philosopher's Stone event and it was amazing to see how they whittled and carved each piece of wood into a wand with specific carvings and symbols for each character. A painstakingly long process but a beautiful one all the same! It definitely left me wanting my own wand. Thank you Warner Bros for inviting us on such a magical day out, it was one that we definitely won't be forgetting any time soon! *Note, we recieved tickets in exchange for our honest opinion. All thoughts are my own. I so need to go to this!! !